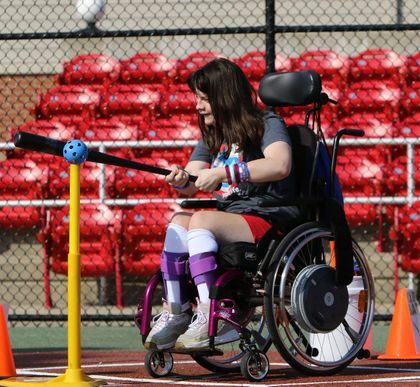 The Mission of the Joe Nuxhall Miracle League Fields is to provide a unique, fun and safe sports experience for our special needs players and their families. The Youth Miracle League uses a "Buddy" system - pairing each player with a peer or friend to assist them throughout the game. Each "Buddy" focuses on providing their teammate with an encouraging, safe environment in which their efforts produce success in each facet of the game. The result is a bond that forever connects them as teammates. 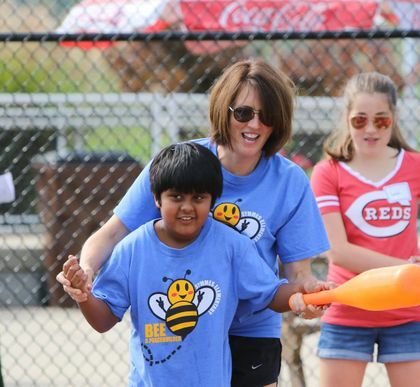 Volunteering with The Joe Nuxhall Miracle League is both rewarding and fun! 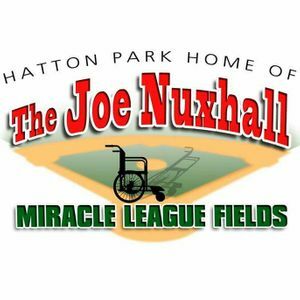 The Joe Nuxhall Miracle League Fields is not a place, rather it's a team of people.....a lot of people, dedicated to the idea that "Every kid, with every challenge, should get every chance to play baseball". So pumped about this!!! Looks incredible! So very thankful to all those who help us to continue making dreams come true for our players and their families. So proud of Ben and Bryce!! This is such a special bond that all kids should have. So fun to watch the two of them together. Wow! Bet that was a big boost for him...and the team!